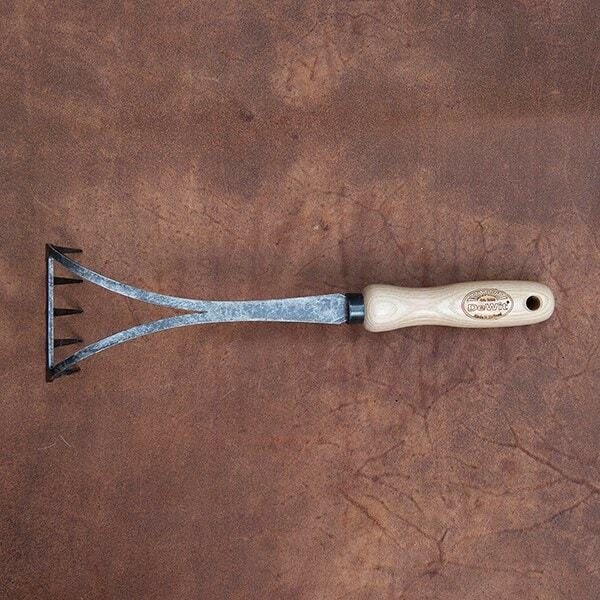 This light and compact 5-tine hand rake, made from carbon steel and solid ash, makes light work of clearing leaves, weeds and other debris from flower borders and vegetable beds. 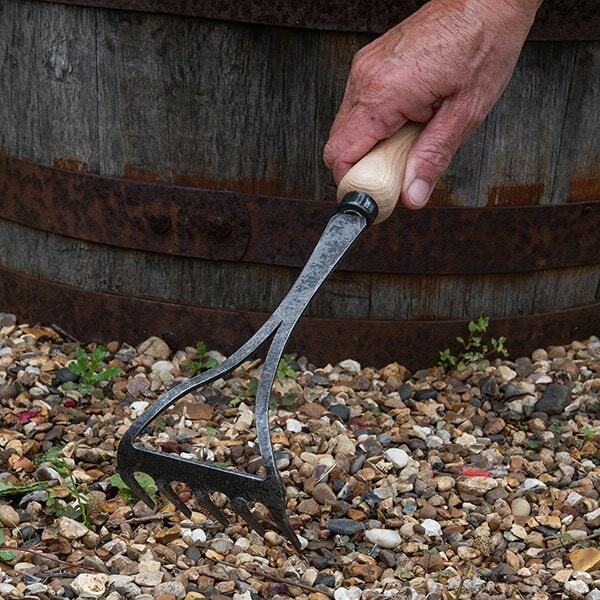 Designed for seated or kneeling use, the rake’s head is forged from one piece of steel for superior strength and bend resistance, with a ‘spring’ effect reducing impact on hands and wrists. The smooth ash handle is ergonomically shaped to offer maximum comfort and a secure grip.